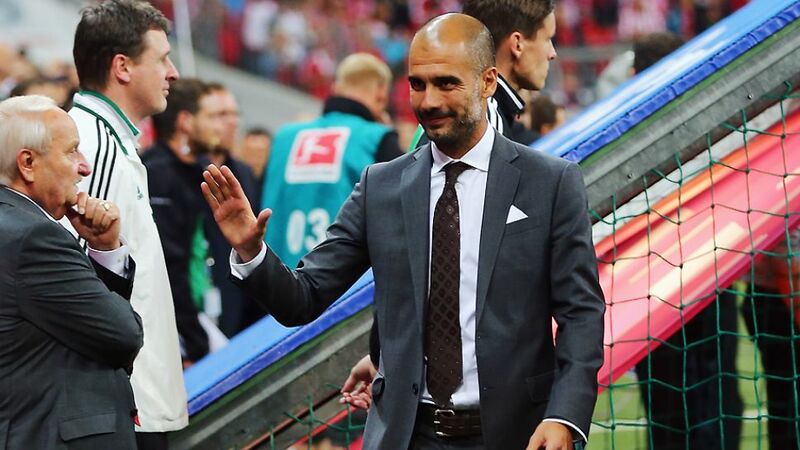 Guardiola bids the Bundesliga farewell having more than left his mark in three years with Bayern. Pep Guardiola has one final act as FC Bayern München coach with the DFB Cup final against Borussia Dortmund on Saturday, but whatever the outcome, he will have left a lasting legacy at the record German champions. Three Bundesliga titles in as many years is only the beginning of what the Catalan achieved in his brief but bountiful stay on the Bayern bench. Add to that the UEFA Super Cup, with which he successfully started his reign, and the FIFA Club World Cup he gathered in that memorable first season, and the story becomes that little bit clearer. On Saturday, he could lift the DFB Cup for the second time having already etched his name in the history books as the first coach to win the Bundesliga title in each of his three seasons in Germany, and the first foreign coach ever to be crowned champion of Germany three times. Guardiola’s Bayern scored 254 goals in 102 league matches – a Bundesliga record – and they conceded just 58 goals in total, at an average of 0.6 per game. He combined a ruthless attack with a mean defence, with no coach who has taken charge of more than two league games boasting a better defensive record, which includes 59 clean sheets.